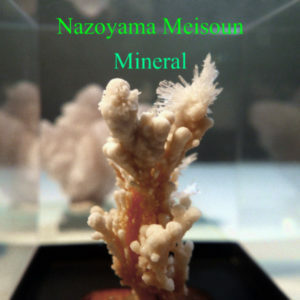 Nazoyama Meisoun’s work on Mineral makes for a nervy, at times disorienting listen. The 11-song set highlights the producer’s approach to beats, but it is not a simple collection of skeletons begging for something more. “Quartz” rumbles ahead, adding in metallic sounds that seemingly lower on to the song (like…a docking bay from Star Wars? ), but always maintaining a glimmer of lightness via bell chimes. It’s also a great diving in point, as most of Mineral’s songs are built on a solid foundation, but are gradually mutated into something different over the course of their extended run times. Get it here, or listen below.